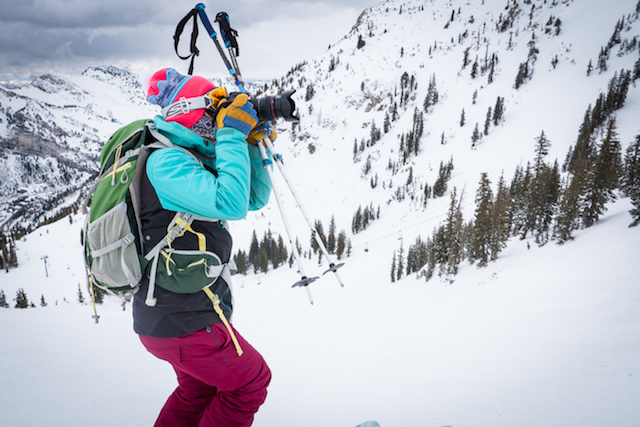 You didn’t need to tell photographer Lisa Slagle the statistic that less than 20 percent of action sports photographers are female: It was quickly evident from being in the field. Evident in the offhand questions of, “It’s just you, where are the guys?” when she would show up to shoots, or when her crew were the only women present at industry events. Slagle has worn many hats within the outdoor media world, ranging from design to film production. 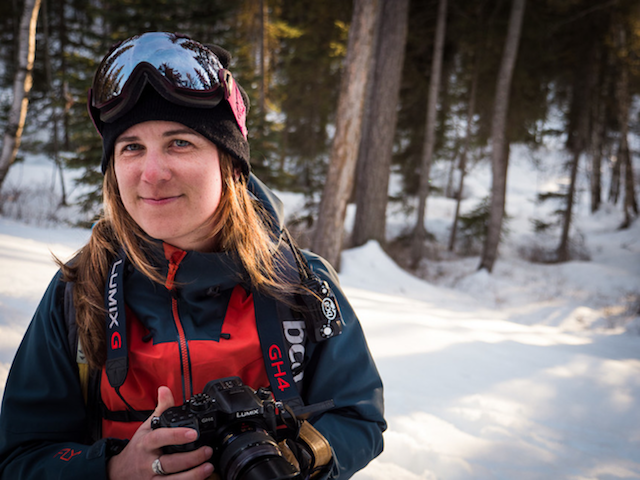 After doing a stint with Backcountry.com as a photo editor, she made the leap back into freelance and now runs her own creative agency in Whitefish, Montana–Wheelie Creative. Throughout her experience in the industry, Slagle could never wrap her head around the fact that nobody has identified why there’s such a gender discrepancy behind the lens. Slagle with part of the Wheelie Creative crew: Jessica Parker and Amanda Guy. It's not uncommon for their work to take them to the dusty singletrack of Arizona or Montana's Backcountry. Wheelie Creative photo. 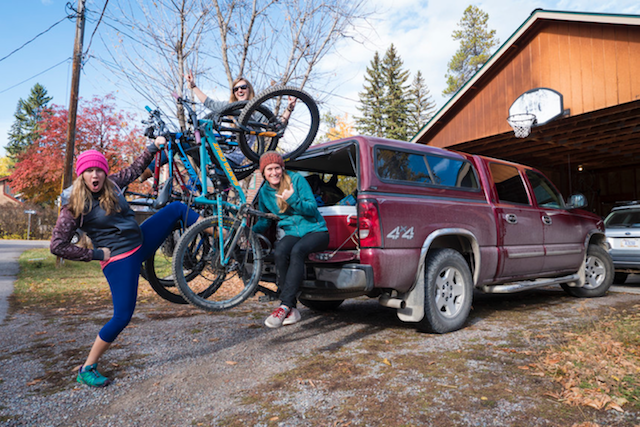 That inspired her to create Wheelhouse Workshops, an all-ladies action sports photography clinic. 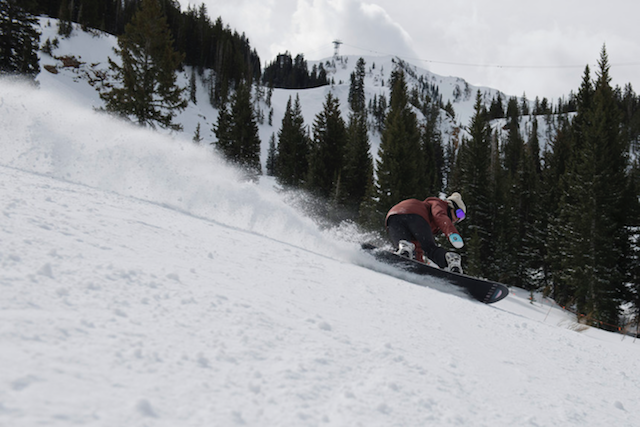 The three-day clinic series has stops all over the country and brings together pro athletes and pro photographers who want to foster budding talent. The idea behind the workshops is to foster a positive atmosphere for ladies to learn together while celebrating the women present in outdoor media. 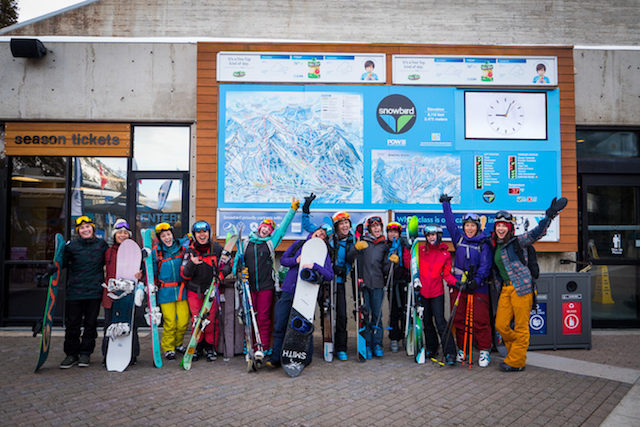 Wheelhouse Workshops just hosted their first workshop at Snowbird with huge success. We caught up with Slagle to learn more about how her experiences helped with masterminding the event. Professional Photographer Abby Cooper guides two of the participants on how to direct their athletes to find the greater story behind the shot. Wheelie Creative photo. What drew you into the realm of action sports photography? LS: While it’s just one very, very fun component of our creative agency, it’s my favorite aspect about my business. Particularly working with photography, the people that come with it is what makes it special. I love the athletes we get to work with or the other brand/marketing managers. Plus you can’t fake it: You need to be there in that moment with all the elements—lighting, the action, and environment—to really get the shot. It’s funny because now as a creative director, I spend a little less time doing production on the ground. So, I guess I want to nurture a new round of ladies to get out there and try. 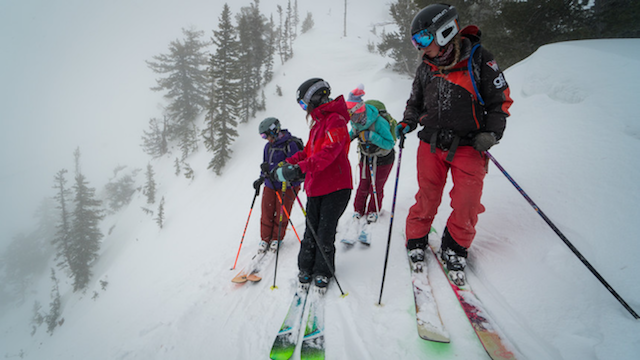 Professional photographer Re Wikstrom in purple, is joined by skier Sierra Swan and two participants as they scope out an interesting shot within this chute. Wheelie Creative photo. When there are few other female photographers in the industry, does that have an impact on your work? 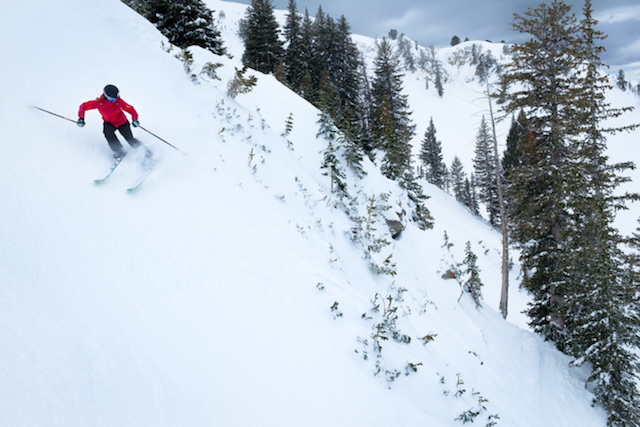 LS: Beyond the fact that it feels a little isolating, it’s only showing the outdoor industry through male eyes—there’s nothing wrong with that perspective—but I think the overall story can be diversified with more viewpoints. That’s the point of these workshops: to get a broader story going, and show what someone else sees. You see a lot of male representation behind cameras—in video, it’s even worse—the type of press that surrounds it is also all shot by men. Dudes are great, but we just want to share the perspective. We ultimately focused on photography because advertising is so photo based, you know someone is going to see a photo before they read the copy in an ad. This workshop was particularly focused on snowsports, but Slagle also hopes to address mountain biking. The professional photographers and athletes will also vary location to location. Wheelie Creative photo. Describe the format of the workshops, what was the thought process behind the curriculum? LS: I’m actually a professor at our community college up here in Montana—so I see it there as well because I teach a video class and it’s almost entirely all dudes—but being familiar with the creative process, I wanted it to be very process focused. So the workshop is a process: It teaches you how to work with an athlete, how to get the shot, and how to edit it. Plus, it’s cool because if you’re an amateur photographer: You get a pro athlete in your portfolio. Can you break down the day-to-day of the workshop? LS: Friday is a meet and greet. 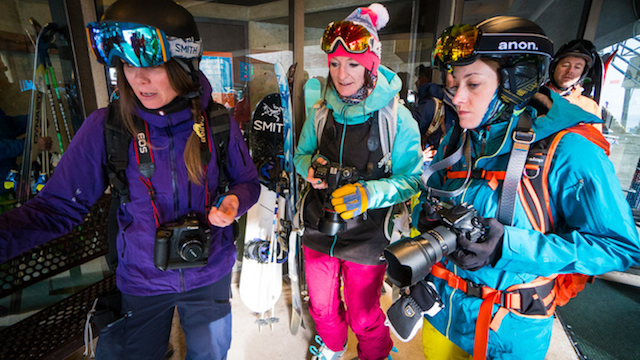 Saturday is the on the snow/dirt hands-on workshop that brings together pro athletes and pro photographers—all female—and the pro photographers are teaching the workshop participants a curriculum they want to teach. 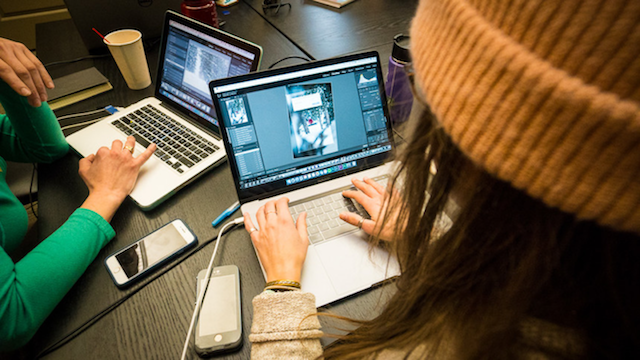 Participants have a homework assignment to organize their files, and Sunday is all about post production. At the end of the event, we do an art show with their favorite print and a panel which is focused on the business of creativity. Women from the industry will be present to talk about the harder stuff—negotiating contracts and rates—common things that freelancers don’t get much training in. 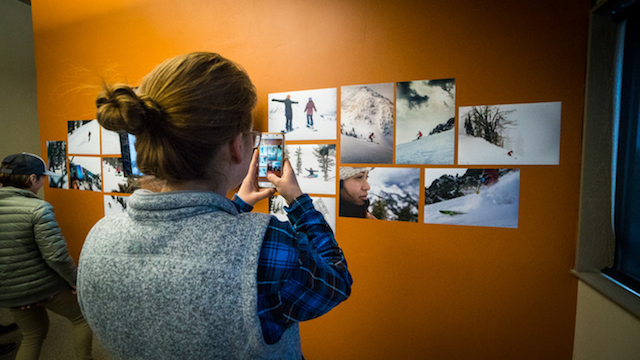 The clinic culminated with a photo show, in which participants proudly hung their favorite print. -Wheelie Creative photo. With these workshops, what does success look like to you? LS: We had everyone fill out a questionnaire about what they wanted to walk away with. It ranged from “being able to take better pictures of my friends” to “I do this for a living and want to improve.” It was cool to see how many boxes people checked, many filled in all of them. My hope is that these women can gain the confidence to go after what they want. Plus, they can take the photos from these workshops and submit them to magazines—they’ll get rejected because there are no handouts when you first learn your craft—but everyone gets rejected. The point is though, they will succeed eventually. If you stay at it and produce great work, you’ll succeed. So at the end of the day, it’s about getting more women to throw their work into the pool. 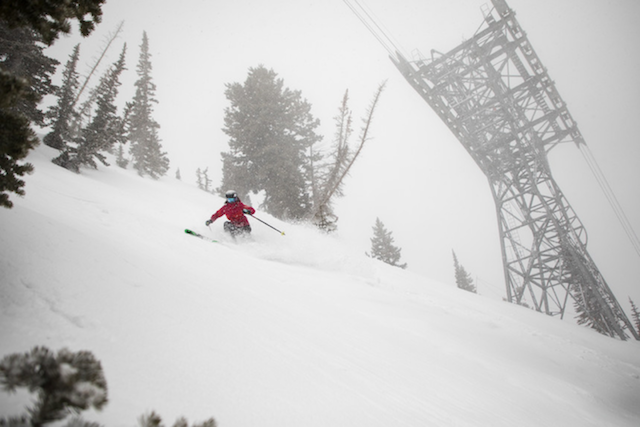 Spirits were high for the on-snow day of the event. 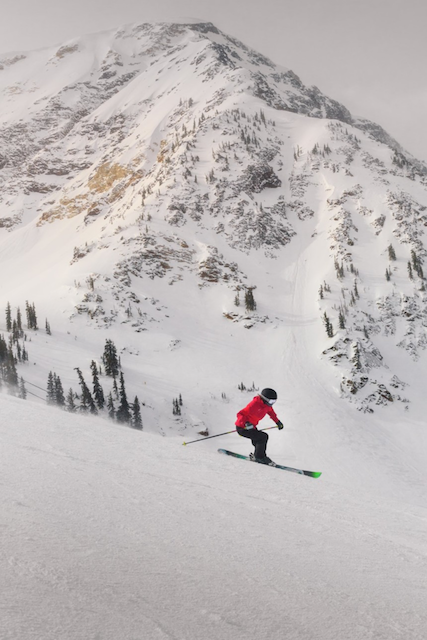 At Snowbird attendees had the chance to photograph professional athletes Katie Kennedy, Nirvana Ortanez, and Sierra Swan. Wheelie Creative photo. For ladies who can’t make it to the workshop, do you have any advice? LS. Just show up and make it happen. 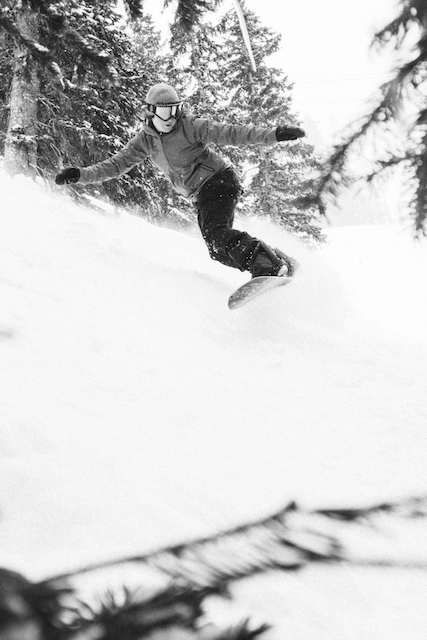 Ask your friends if you can shoot photos of them and gather a solid group of people who can ski/snowboard/bike well. This might sound dumb, but it helps to practice whatever your sport is with a heavy backpack when you’re not shooting too. So that when the time comes, you’re able to travel through terrain when you’re really loaded down and not be the weak link. I train with a weighted backpack. It’s funny because you think so much about the creative side of it, but it also takes a lot of physical strength to be successful. "I decided to attend the workshop super last minute, but I'm so thankful I did! Lisa, Re, Abby and Mel were super passionate about the workshop and we, as participants, had a blast because of their efforts!" -Carley Clegg photo. "It was an awesome experience being with creative and talented women who share the same passion. I learned a lot, laughed, and made new friends in the process." -Jena Dodd photo. "Learning from women who have established themselves in the industry gave me the tools to further pursue turning my passions into a career. Beautiful things come when women inspire growth in those around them." -Isabelle La Motte photo. "I can't emphasize what an amazing experience this was, not just learning from the photographers, but collaborating and learning from each other. So refreshing and inspiring to be with a group of women that are truly committed to lifting each other up, and inspiring each other rather than competing with one another." - Nicki Bennett photo. "What a great weekend it was, filled with creativity, enthusiasm and shared knowledge. I left the workshop inspired and confident that I can help make a difference in the women outdoors industry. Wish I'd done that years ago!" - Melanie Saucier photo.